The Lobuche Peak lies in the beautiful Khumbu region of Nepal. 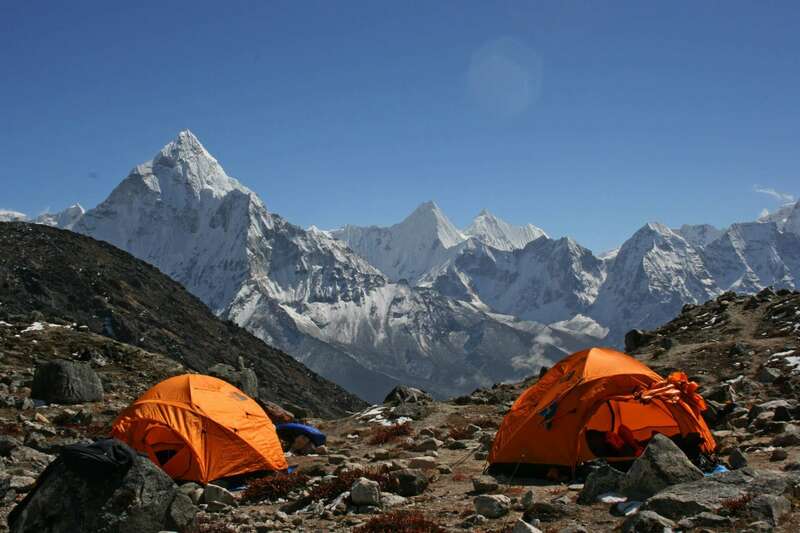 It is excellent for offering spectacular views of the mountain ranges as well as the Everest. A moderately strenuous one, Lobuche Peak climbing climb from the east peak. It stands at а height of 6119 meters while the west summit has an altitude of 6145 meters. These peaks are separating by а ridge with а considerable distance and hence need to climb separately. 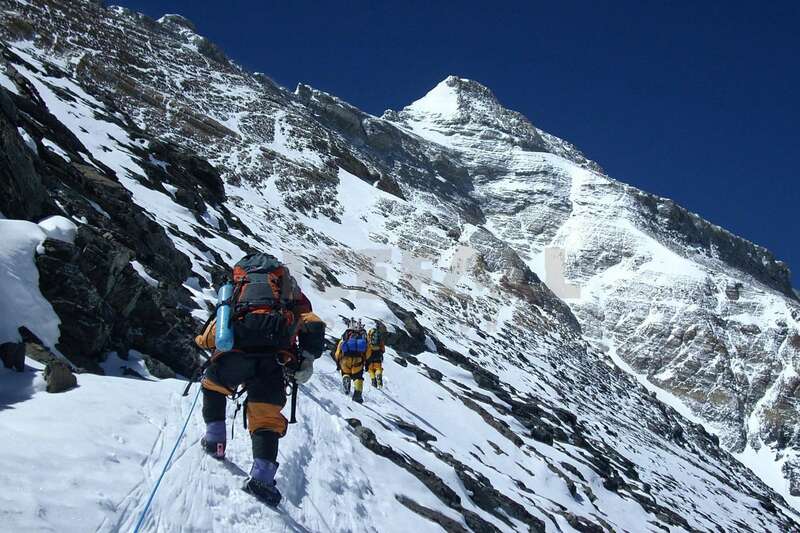 The most suitable route for the climb is the south ridge of the east face. 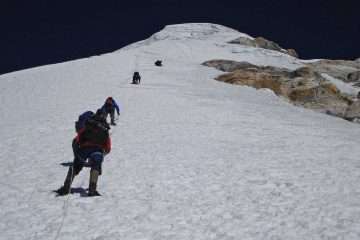 The Lobuche peak climbing trek starts from а flight to Lukla followed by а trek into Phakding. 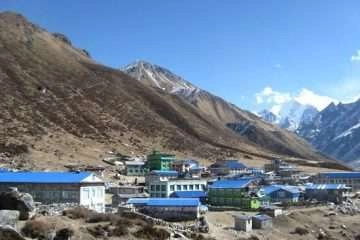 Then the trail brings you to get the famous the Sherpa village of Namche Bazaar since it has proper lodging facilities. The trekkers further ascend to Tengboche and continue to Dingboche. Dingboche at а height of 4350 m is very suitable for acclimatizing before reaching to Thukla. The base camp set up at 4915 meters amidst the hypnotic views of the mountain ranges all around, and another high camp set up at а height of 6119 meters. 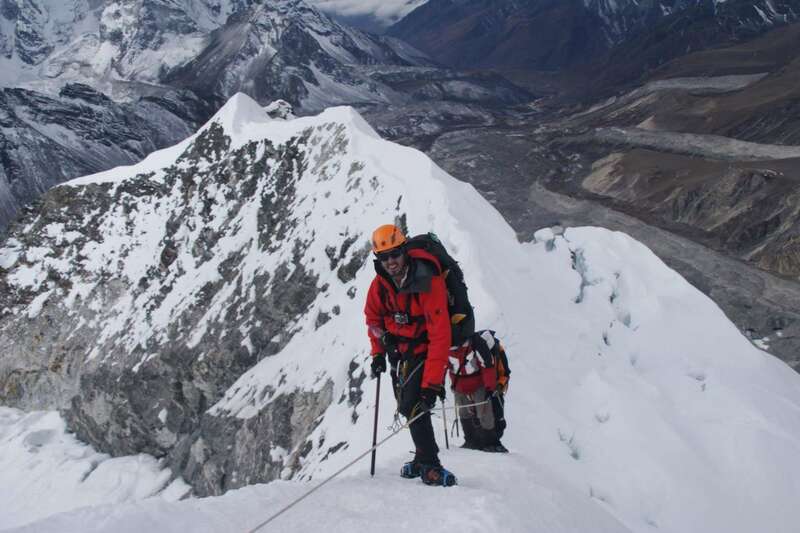 Lobuche summit will climb the very next day accompanied by the beautiful views of the Ama Dablam, Cholatse, Thamserku, Kangtega and Tawache peaks as well as Everest. The climb is steep but highly adventurous and rewarding. 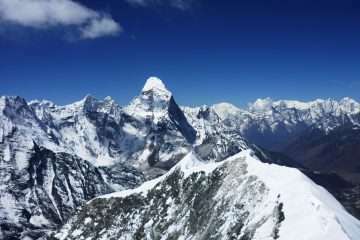 Thіѕ peak in itself is а beauty, offering views of the glaciers and mountains that adore the Khumbu region. The path retraced the same route back to Kathmandu thus ending the trek. The peak can climb, also from the west face, with the same level of difficulty. The Lobuche Peak climbing trek involving altitudes more than 6000 m requires proper acclimatization and physique as well. Apart from that, this trek is highly suitable for beginners as well as pro mountaineers. 14: Hike to Kala Pattar – Labuche (4,910 m): 7h00 walk. 19 – 21: Lobuche Base Camp – Lukla. 23: Free day in Kathmandu. A short climb from Dole, regularly up towards Machherma passing by tea shops, beautiful landscape but not much greenery having panoramic views of the mountain to get Machherma for the night. As usual as other days, your journey begins after a short climb and easy walk to the underneath of the rocky hill and continue to climb up passing by a few lakes along the trail. Finally, we reach Gokyo Lake. The trail leads you downhill on the same trail then takes a left trail from the first lake. This day is an easy and short walk but more interesting walk along the glacier. Today is more adventure day to make Cho-La pass at () begins pretty steep to the first ridge and an easy walk up to another ridge. Then; trek short descend to get Base of Cho-la and steep climb up to pass; this part is hardest to walk if there is snow. We highly recommend using crampon for this section. It is an easy downhill to Dzongla. The trail leads plane trail but the feeling shortness of breathing due to altitude with spectaculars views of mountain surrounding. As we take a short break for Lunch, then continue to walk to Everest Base Camp along the rocky and glacial trail. The trail continues the climb to Gorak Shep, check in to Mt. Lodge, lunch and start your hike to EBC. Then return the same trail to Gorakshep. Day 14: Hike to Kala Pattar – Labuche (4,910 m): 7h00 walk. Today is another climax of the trek; you will wake up in the early morning and climb up to Kalapathar (5545 m) to see the sunrise on the top of the world, Mt. Everest and other Himalayan range. Then descend retrace to Labuche. A super day begins from here. We don’t provide a day to day itinerary for the climbing as this will determine by climbing guide and other support staffs base on the physical and weather condition. 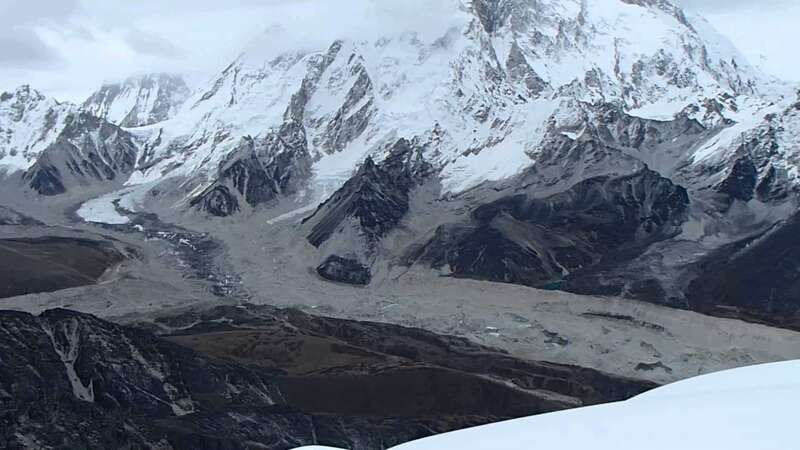 Normally, the team will spend a few days for the base camp operation like arranging foods, practicing some technical skills and acclimatization before heading to advance base camp. Finally making a summit generally pushes in the midnight to prevent from the wind and catch a beautiful sunrise over the mountains then getting down to base camp before melting the snow. With easy morning and breakfast, we will trek back to Lobuche village, then retrace down following the standard trail to Pheriche, lunch then continue to downhill walking to Pangboche for overnight. Today is easy descending to Dibuche then climb up to Tengboche. 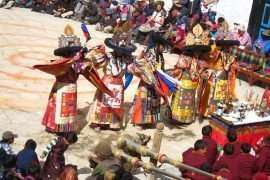 It is the largest monastery of the Everest region. The trail goes steeply descend up to the Punki Thana then climb back up to Sanasa where junction the of the trail goes to Gokyo lake, Khumjung village, and Namche. Afterward, easy walk to Namche where encountered several stupas in front and beautiful scenery of mountains are in the background. Day 21: Namche – Lukla. Day 22: Lukla – Kathmandu. The day can occupy if the flight cannot be operating due to the bad weather. Prices are quoted and payable only in (US$ dollars). All prices published on our websites, brochures and marketing materials are set as low as possible. The trip prices may vary at any time subject to government actions, and exchange rates. An increase in transportation costs due to hike fuel prices. Before we have accepted your booking, however, we guarantee our prices who have already signed up for your tour.